In the United States, the public power utility industry has found themselves in the middle of a market transformation. Data traffic is increasing exponentially, but rural America is getting left behind with limited access to internet services. Public power utilities can use fiber technology to meet their own data demands and open the opportunity to offer broadband to eager customers. Video and connected devices are driving data usage, and it’s putting serious strains on bandwidth. In 2015, the average person owned 7.3 connected devices. That’s expected to jump to 12.3 by 2020. Networks are struggling to keep up, with the average consumer spending 10 hours a month waiting for content to load. Today’s smart grid is also on a data binge. PLC data usage has increased nearly 10X. A few years ago, a PLC meter used 25 MB per month. Today, a typical digital smart meter uses 254 GB per month. Some electric coops need scalable networks that can handle these exponentially increasing demands. Fiber technology is the key to meeting data demands. Fiber cable is highly resistant and can last for over 30 years. (Some cable that was laid in the 1980’s is still operating.) It scales well with little impact as users are added. There’s no slowdown with shared usage or distance from headend or data center. Additionally, fiber is easy to dispatch and configure remotely. Fiber is also enabling connected devices through the Internet of Things (IoT). With fiber backbones, connected devices that are bandwidth hungry get satisfied. Especially in utilities, the IoT is also enabling smart grids, big data, automation, and smart homes to converge and run efficiently. In a city or metropolitan area, people don’t have any trouble getting connected. Customers can typically get a strong connection at work, throughout the city, or at home. But in rural areas, many communities don’t have any options for getting on the internet. Additionally, in 2015, the FCC raised the bar by defining a broadband connection to be a minimum of 25Mbs down and 3Mbs up. You can compare this to the expansion of the rural electrical grid for power in the 1930s. Much of rural America didn’t have access to power. We’re seeing the same expansion in 2018, only now with fiber. This lack of broadband access isn’t just an inconvenience – it’s bad for the local economy. A lack of connectivity affects job growth in the community. Connectivity ensures economic vitality for municipal cities and small towns. Rural unemployment rates have dropped not because there are more jobs, but because the total workforce has shrunk. According to the Bureau of Labor Statistics, the total number of people working or looking for a job in rural counties has dropped by over 1 million people since 2007. This opens an opportunity for public power utilities to offer broadband to areas that need it. Cooperatives and electric-powered munis in America find themselves in a unique position. A fiber communication network is needed to support a smart grid and increasing demands. Fiber can also be used to offer broadband where and when it makes sense. Utilities have a few options when deciding whether or not to offer broadband. One option is dark fiber. Fiber is installed and leased out to other service providers. City networks can also offer services directly to the public. Another option is to create a broadband subsidiary where the utility essentially becomes the broadband provider in that rural city or area. By doing so, they may offer internet, telephone, or even cable television. Electric coops can evolve their networks over time using a mix of technologies. 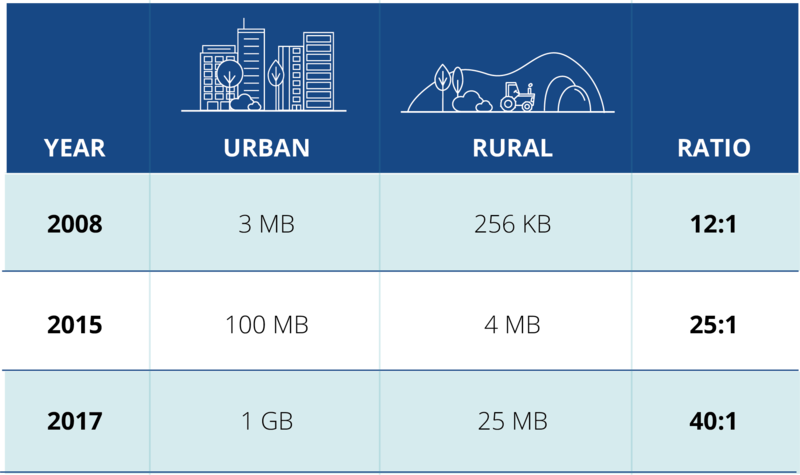 An expanding number of endpoints can be connected using a mix of technologies and ultimately extend broadband to rural communities. If a utility decides to offer broadband, multiple technologies may be needed to serve Fiber to the X (FTTx). The three main categories include fiber to the home, fixed wireless, and satellite broadband. Fiber to the Home: This has the highest throughput. It’s future-proof and can be deployed when and where it’s feasible. Fixed Wireless: With a lower cost to deploy than fiber, this technology now provides a quality broadband experience. It can be deployed in areas where fiber is not economically feasible with or in advance of fiber. Some may view fixed wireless as a stepping stone to fiber. Satellite Broadband: New satellites provide significantly better capacity and plans ranging from 25 Mbps to 100 Mbps with soft data caps. This technology can be used in the hardest to reach areas. The Federal Communications Commission (FCC) found that 39 percent of rural Americans do not have access to 25 Mbps/3 Mbps service. That’s over 23 million people lacking basic internet services. Public power utilities are uniquely positioned to offer a service to a large audience. Using fiber technology can create a scalable network that’s ready to meet future demands and bridge the broadband gap. 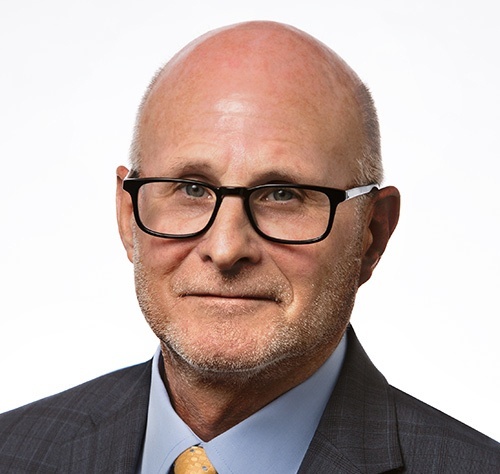 Bruce Ratskoff is the Director of Utility Broadband for Wesco Distribution. He leads a team that drives, supports and manages communications products and broadband solutions in Wesco’s Utility market. Bruce has been with WESCO Distribution for 10 years and has built an impressive portfolio of solutions through strategic supplier relationships and has helped many customers.